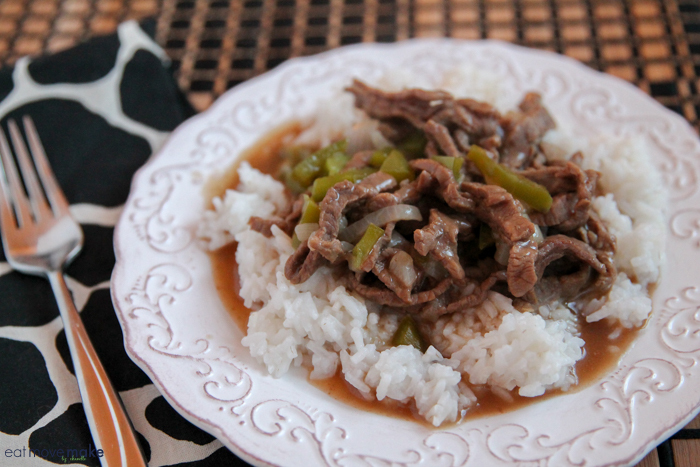 This pepper steak skillet is a winner for dinner! Everything but the rice cooks in one skillet — such an easy recipe with just a handful of ingredients. 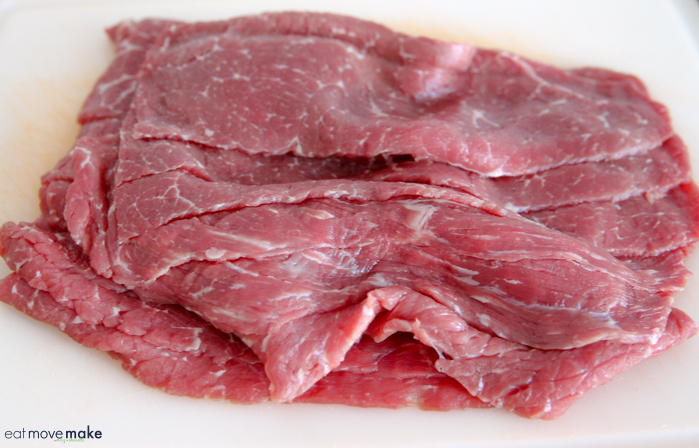 Look for a nice round steak in the meat department. I happened to find one cut into thin sheets, so I used that this time, but any round steak will do. I bought two packages because my boys eat like monsters, but go with what’s best for your family size. 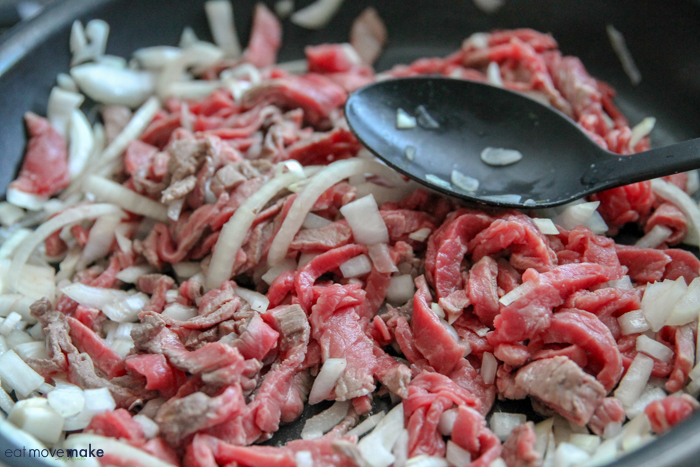 Then you’ll want to cut the meat against the grain (to help tenderize it) in thin strips. Saute the beef strips, onion and garlic until the meat is browned, then you’ll add liquid and let the meat simmer, cook and tenderize for a while. It’s going to smell so good! 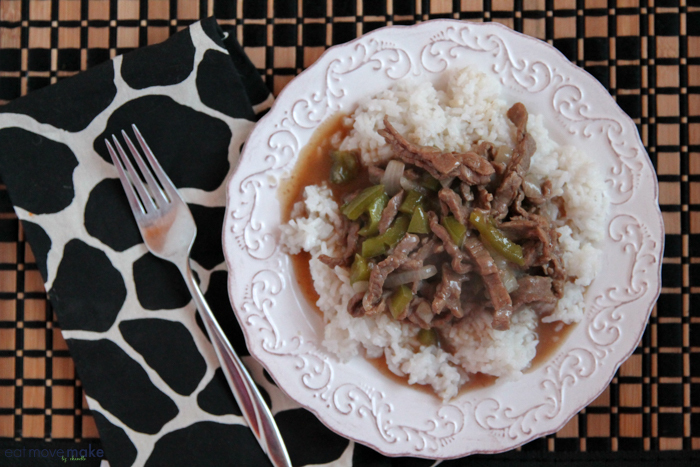 A little later in the simmering, you’ll add gravy and green peppers and let it all cook together. You could also add red peppers if you’d like. 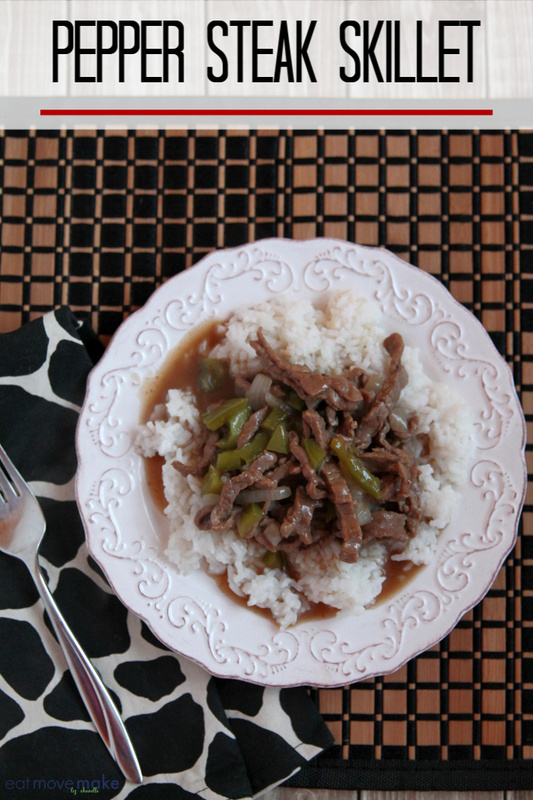 Serve in big spoonfuls over a bed of rice and enjoy! 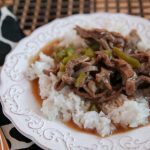 Pin the pepper steak skillet recipe for dinner inspiration! 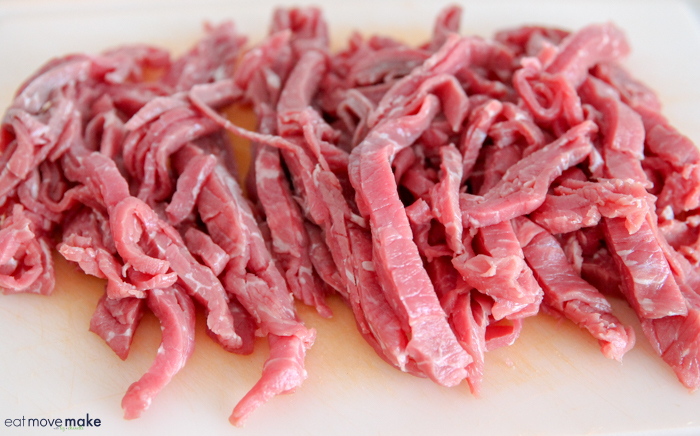 Cut round steak into thin strips, against the grain. Heat oil in frying pan. Brown steak, onion and garlic. Add water; simmer 30-45 minutes covered until meat is tender. Add gravy, lemon juice and green pepper. 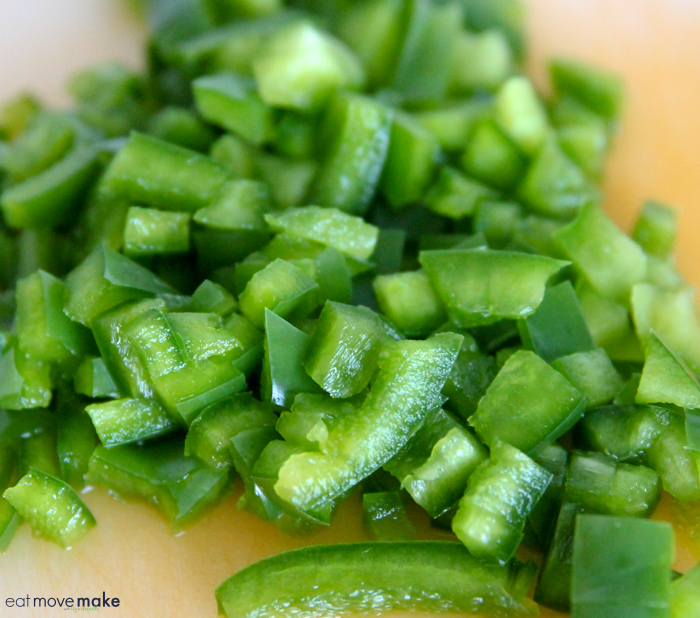 Simmer 10-15 minutes or until peppers are tender. Serve over rice. I love dishes like this! They are easy. Usually I make 2 batches. Then I have enough, for the next days lunches.